An Indian drone has “invaded” China’s airspace and crashed, China’s defence ministry said Thursday, months after the neighbours ended one of their worst border standoffs in decades. “The Indian move violated China’s territorial sovereignty. We strongly express our dissatisfaction and opposition,” deputy director of the army’s western theatre combat bureau, Zhang Shuili, said in a statement. Chinese border troops “took a professional and responsible attitude” and carried out identification verification of the device, Zhang said. “We will earnestly fulfil our mission of duty and firmly defend the sovereignty and security of our country,” he added. The Indian embassy in Beijing declined to comment. In August, the two nations pulled back their troops to resolve a tense deadlock over part of a Himalayan plateau claimed by both China and Bhutan, an ally of India. The standoff began in mid-June after Chinese troops started building a road on the remote Doklam plateau. India has an army base nearby and moved soldiers into the flashpoint zone to halt the work, prompting Beijing to accuse it of trespassing on Chinese soil. After both sides withdrew, India’s army chief said in September that his country could not afford to be complacent and must be prepared for war. “As far as our northern adversary is concerned, flexing of muscles has started,” General Bipin Rawat said at a think tank event in New Delhi, in reference to China. “The salami slicing, taking over territory in a very gradual manner… testing our limits of threshold is something we have to be wary about and remain prepared for situations which could gradually emerge into conflict,” the army chief said. Rawat said India also has concerns that its arch rival Pakistan — an ally of China — could take advantage of the tensions. The two emerging economies both have large populations and a growing middle class. 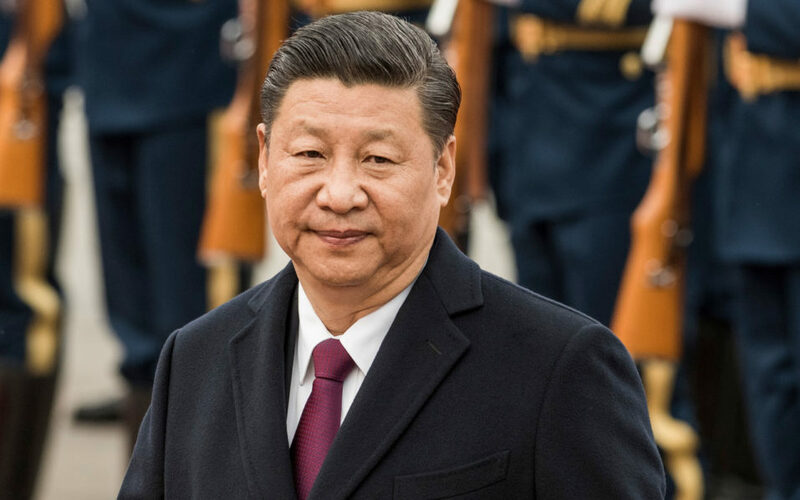 China has invited India to join President Xi Jinping’s new “Silk Road” project to revive ancient trade routes from Asia to Europe and Africa. But the proposed economic corridor has alarmed India, partly because one of the links cut through Pakistan-administered Kashmir, disputed territory that New Delhi claims is illegally occupied.